Bimetallic Sheet consists of Copper(Sheet metal) cladded on pure Aluminum(Base metal), both metal being diffused together to form an inseparable whole by rolling bonding process. 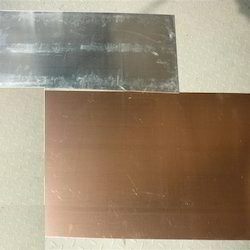 Bimetal, is therefore not an alloy and copper layers are not electro Plating but are rather mechanically welded Aluminum Sheets, Bi-metal sheet, bimetal sheet. 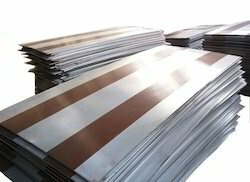 We are engaged in offering Bimetallic Plate. Looking for Bimetallic Sheet and Plates ?